Wheatgrass juice is nature’s finest medicine. It is our signature elixir here at Hippocrates Health Institute. It is the icon in our logo. It is a powerful concentrated liquid nutrient. 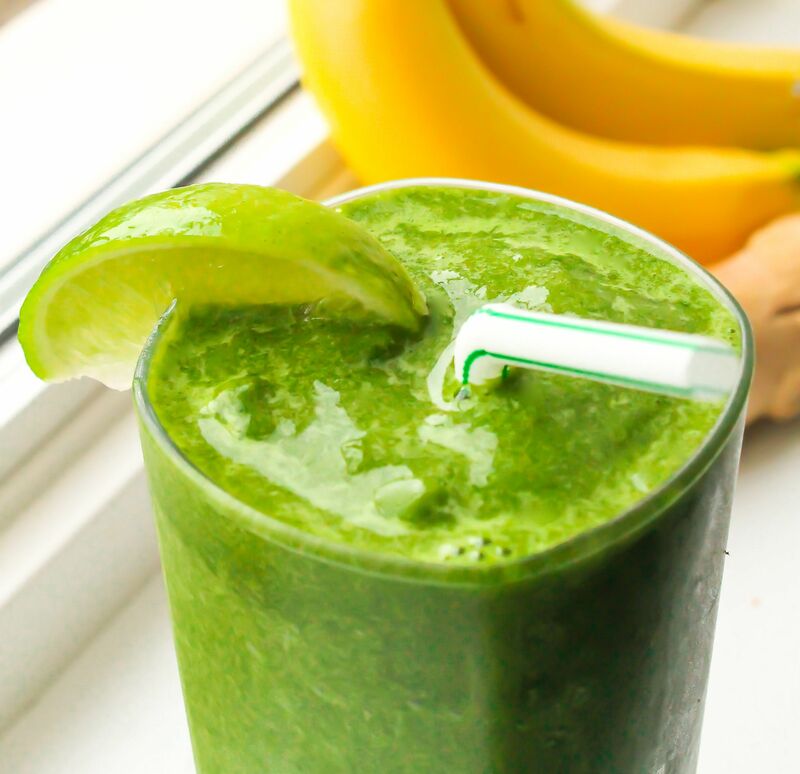 Wheatgrass juice builds your blood and boosts the immune system. It is a fast-growing, high energy, high frequency plant. 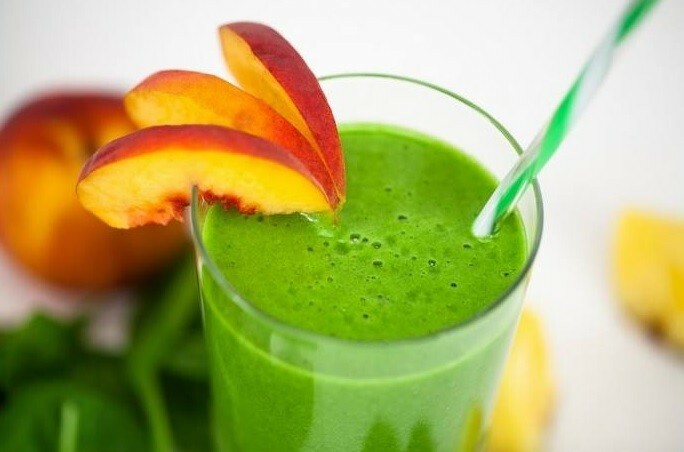 Two ounces of wheatgrass juice has the nutritional equivalent of five pounds of the best raw organic vegetables! It is also a powerful detoxifier pulling poisons, stored toxins, and heavy metals out of the body. Here at Hippocrates Health Institute we have the sweetest tasting wheatgrass juice in the world. We are the largest grower and user of wheatgrass in the world. The reason our wheatgrass juice tastes so much different than other wheatgrass juice you may have tried elsewhere is the way that we grow it. It is best to grow wheatgrass indoors right in your kitchen. The ideal temperature range is between 65-75 degrees F and humidity less than 50%. You want plenty of indirect sunlight and plenty of artificial light (full-spectrum is best) but, no direct sunlight. At least 1000 lumens are needed. Keep the lights on for about twelve hours a day and turn them off at night. A little bit of gentle air movement is also very helpful. Grow your wheatgrass with lots of loving intention! Convey plenty of your positive energy to your wheatgrass as it moves through the growing process. Think positive thoughts and speak loving words of gratitude to your grass as it is growing for the healing medicine and life-force energy it will convey to you. Play soft, classical music to your plants during daylight hours. Place 1 cup of red hard winter wheat berries in 1 quart wide mouth Mason jar equipped with a sprouting lid and soak in fresh filtered water for 8 hours. It is best to do this indoors at room temperature. Drain the soak water and rinse the seeds three times over the next 36 hours on 12 hour intervals. Leave the jar upside down between rinses propped at a 45 degree angle in a dish rack so it can continue to drain. Always use fresh filtered room-temperature water for rinsing. Place ½” of organic potting mix a 10″ X 10″ tray with holes. Spread the potting mix out to the four corners until it is evenly distributed. Place a second empty tray on top and lightly compact the potting mix. Pre-moisten the potting mix by spraying heavy with a misting bottle. Use fresh filtered water. Spread the germinated seeds out evenly on top of the potting mix. Mist again heavy and cover with an empty tray. Keep your tray propped up using spacers above a drain pan so that it does not sit in its’ own drain water. Water your wheatgrass twice a day for a total of seven days. Always use fresh filtered water. Water enough until the tray just begins to drip. Replace the empty cover tray after each watering for the first three days. The cover tray is no longer needed after day three. Harvest at the beginning of the jointing stage when it “splits.” This is when you will see a second blade grow out from the base of the plant. Harvest the entire tray at this stage to halt the growing process. Cut the grass just above the soil line with a pair of scissors or a sharp knife. While it is always best to juice your wheatgrass right away when it is freshly cut, you can store it in the refrigerator for up to five days. Clean your trays, lids, and jars really well between each crop with a good strong natural organic dish soap. Use an auger-style juicer such as the Omega for wheatgrass. A 10” X 10” tray will yield up to 9 ounces of juice which is enough for two people for one day. Plant a new tray and harvest a completed tray every day. This way you will always have seven trays of wheatgrass growing in various stages. You can use the small Hydrosol rack which has seven shelves – one for each day of the week. The Hippocrates store can provide you with the Hydrosol racks, trays, seeds, and sprout lids and they will ship to your USA address. They also have books and DVD’s on how to grow the best wheatgrass. 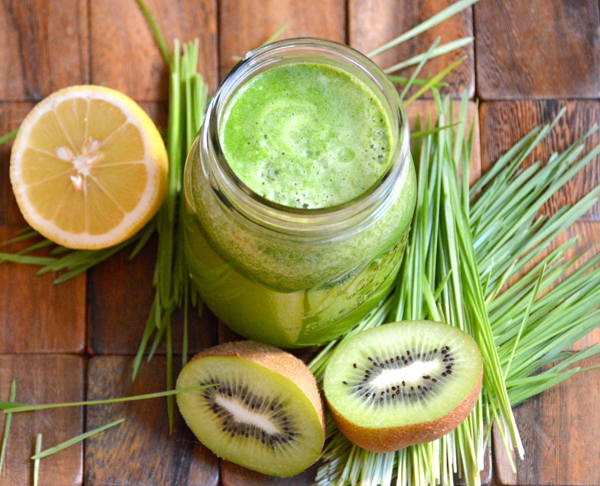 Enjoy the amazing benefits of fresh juiced wheatgrass!